Elope to Vermont – it’s a piece of cake! So whether just the two of you want to slip away together or a few family and friends are in on the “elopement”, we have just what you need. Our elopement package for two includes two romantic nights in a choice of either the English Room, the Blue Room, or the Pink room, each with a private bathroom, a queen-sized bed and a working gas fireplace. The Governor’s Bedroom is also available with a surcharge. The package also includes full breakfast each morning, a private candle-lit dinner for two, a bottle of champagne, a small bouquet of flowers, a beautiful civil marriage ceremony with a justice of the peace either inside the inn or outside on the beautiful grounds, and a cake, of course! We can help with the Vermont marriage license for any couple eloping from out-of-state. Eloping couples from Vermont must get their licenses from their towns of residence. 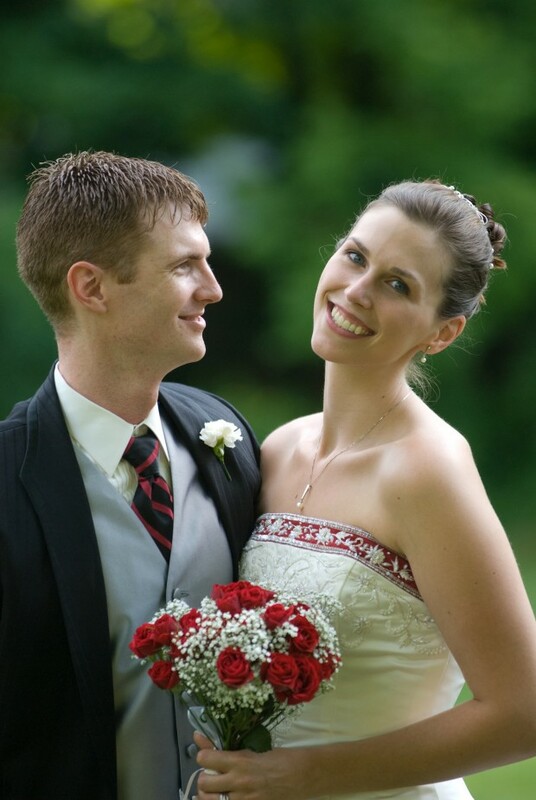 Elope to Vermont package is $785. There is a surcharge to do the package on some holiday weekends, at Christmas, or during fall foliage season. A non-refundable deposit of $250 is required to reserve the package, but if necessary, it is usually possible to change the date without incurring any additional fees. We can usually arrange the elopement with little advance notice, but it’s best to reserve as far ahead as possible to be sure of availability. As with all our packages and specials, the elopement package must be reserved directly with the innkeeper at info@onehundredmain.com or 802-888-6888. It is possible to extend your stay a few extra days or to make your elopement even more special by adding a horse-drawn sleigh ride, a romantic picnic for two on the mountain, or even a ride in a hot-air balloon. There are many and varied things to do in the area. Click here for more information about local activities. We have arranged with a local photographer to offer a special package to go along with our elopement package. She usually arrives a bit early to take photos of the bride beforehand, snaps away throughout the ceremony, and then uses the beautiful setting inside the inn and the stunning scenery outside for posed pictures of you together. If you decide to share your special day with a few family and friends, we offer a 10% discount off our regular room rates. You may choose to have them also join you for your private dinner which includes a wedding cake, just the right size for your party. We also offer small intimate weddings if the guest list outgrows our elopement package special. For the very adventuresome, we also offer the Marriage Made in Heaven special, an elopement package that includes everything listed in the regular elopement package plus having the ceremony performed in a hot-air balloon as you float over the Vermont hillsides. The basic Hot-Air Balloon elopement package is $1,275.00. Click here for more details about the Hot-Air Balloon elopement package. So why deal with all the hassle when your elopement at the Governor’s House will be a piece of cake!